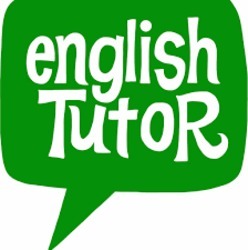 Contact me to get english speaking tutor at your home. We help students to meet their academic and professional dreams through our selected professional private home tutors. Kindly explore www.harshahometutors.com to know how we can help you. For Students/ Parents: If you are little short of time right now, then use Home Tutor Search to quickly find tutors of your choice in your locality. After you have found the tutor of your choice or want us to help you to do same, then kindly complete online registration form at Student Registration. For home tutors looking for part time home tuitions/teaching jobs/assignments, you are requested to use Home Tutor Registration phone 9911742311 for getting home tutions / home tutor jobs matching to your set parameters. Home tuition service also refer to as home tution, group tution, group coaching classes in rohini pitampura ashok vihar rajouri garden, sainik vihar, rani bagh, avantika, budh vihar, sector 24 rohini and sector 1, 2,3,4,5,6,7,8,9,10,11,12,13 and other sectors of rohini near metro station rohini. Metro tutors near delhi metro station home tuition service in entire rohini and pitampura. we also provide mba tutors in rohini pitampura, ba & b.com tutors in pitampura and rohini adjoining areas and also for standard 1st to 8th, 9th, 10th, 11th & 12th classes.